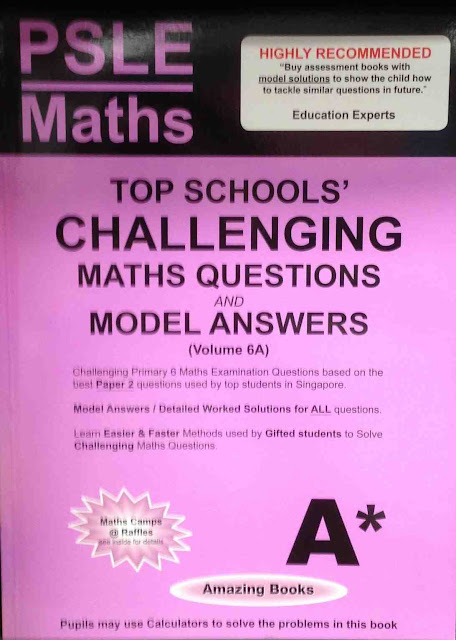 In recent years, a certain genre of mathematics titles had flooded the Singapore assessment (supplementary) market to meet the needs and wants of kiasu parents, who want to ensure that their children have a competitive edge over their peers. One conspicuous series of such assessment titles in our local bookstores is published by Amazing Books. The Primary 1 - 3 titles (selling from $8.00 to $9.90) are written by a certain Newton Wong, while Primary 4 - 6 titles (selling from $11.00 to $12.50) are written by an Ernest Wong—it’s hard to confirm whether the writers are ghosts or not. These supplementary titles generally cost as much as a Ministry of Education (MOE)-approved primary textbook—however, they're value-for-money titles, if you're agnostic as to whether copyrights have been safeguarded or not. Indeed, there is much to be gained from writing these assessment titles, as compared to, say, authoring an MOE-approved textbook which goes through the tedious reviewing exercise by the Ministry of Education, the approving body of Singapore textbooks. 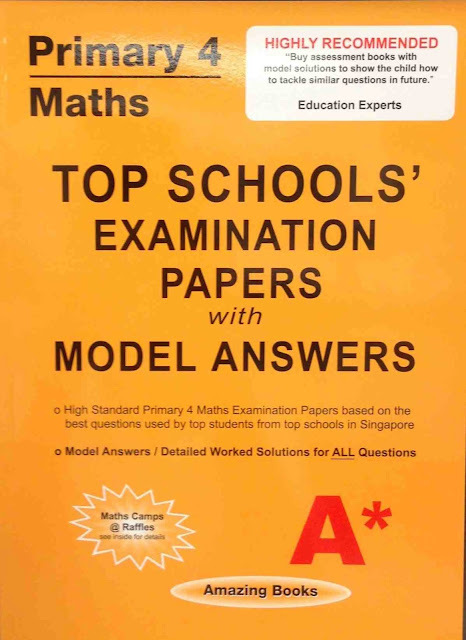 Critics (mainly authors of traditional assessment books) arguably claim that these “cheat-expensive books” or "expensive-cheat books," as they’re called in local educational publishing, are nothing but a rehash of faintly modified past exam questions from the top or popular schools in Singapore. Another category of expensive-cheat titles involves those whose contents don't justify their selling prices—titles that over-promise and under-deliver. Come with quality paper, some look pretty good in form but shy of substance. Note however that the use of the word “cheat” doesn’t in any way suggest that the writers had plagiarized the contents, although it’s not uncommon for teachers and tutors to suspect that in some cases plagiarism could have inadvertently taken place. At best, these expensive-cheat titles provide information for readers new to the subject matter at a high price; at worst, these titles are copycats of pirated test papers or canned contents that have been put in a form that are readers-friendly. This will help your kids to Score !!! * NB * To unlist pls click < HERE > thank you. past exam papers from allegedly top schools. "model answers" are quasi-edited "solutions." It’s an irony that while many fly-by-night writers had modified questions from the top schools’ exam papers with cosmetic changes; yet, often times, some teachers from these same schools are equally guilty in lifting up large chunks of content from assessment titles, by photocopying and distributing entire chapters to their students and fellow colleagues. Plagiarism begets new levels of intellectual theft. Unscrupulous vendors know too well that the MOE would find it hard to crack down on these perpetrators of piracy. After all, few parents could detect the authenticity of these questions—whether or not they’re really set by teachers from allegedly top schools. Most questions look challenging to the clueless parents, who would buy anything which would help their children do well in the subject. who can't afford private tuition. Lest their children lose out vis-à-vis their peers, most kiasu parents wouldn’t give a second thought to buying these pirated sets of exam papers. The rationalization is that since the MOE refuses to sell them, they’ve little or no choice but to procure them from illegal vendors. The means to laying their hands on these sought-after papers justifies the end—that these non-routine questions would prepare the child confidently for his or her school test or exam. With home delivery service of these syndicated or pirated papers at no extra costs, parents can now feel less guilty, as they could avoid being seen buying these illegal papers in public. And for IT-savvy consumers, they’d now order these papers online, at a cheaper price, if they want an electronic version of them. priced at S$24.95 in retails outlets. 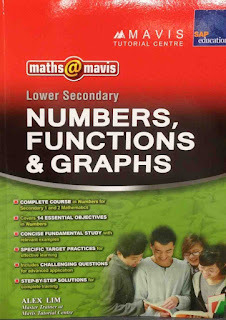 Unknown to many of these authors, the international mathematical community of mathematics educators often poke fun at the poor quality of our local assessment or supplementary mathematics titles. 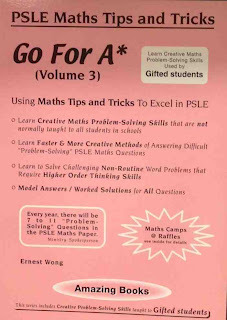 Many writers have probably not read what math educators out of Singapore are saying about their dear titles, especially when they're marketed overseas. 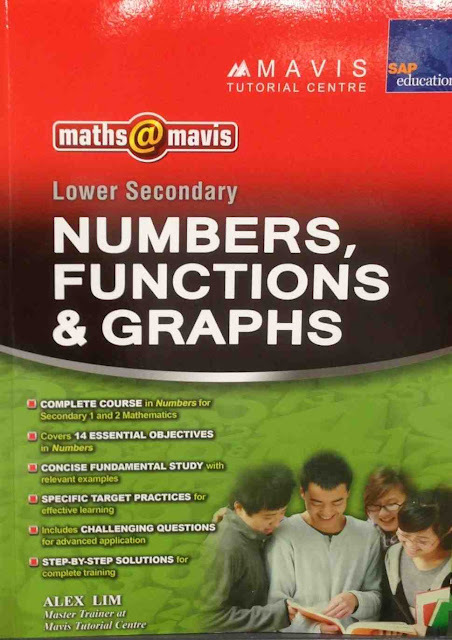 Leaving poor design and linguistic blunders aside, these expensive-cheat local titles are often an embarrassment to the image of Singapore mathematics publishing, as the nation strives to become an educational and publishing hub in Asia. In recent years, it's an open secret that questions from so-called top schools are actually the works of syndicates, which recruit Indian and mainland Chinese nationals, and cash-strapped undergraduates, to write math questions that mimic those posed by teachers from top schools. No one is surprised that these expensive-cheat titles are a few folds pricier than the traditional assessment titles. These often ill-written supplementary titles, which make unverifiable claims to parents and teachers, will continue to thrive if the authorities don't get down to verifying the authenticity of the questions, and as long as the consumers continue to purchase them, pretending that they’re unaware that they're MOE-copyrighted materials. 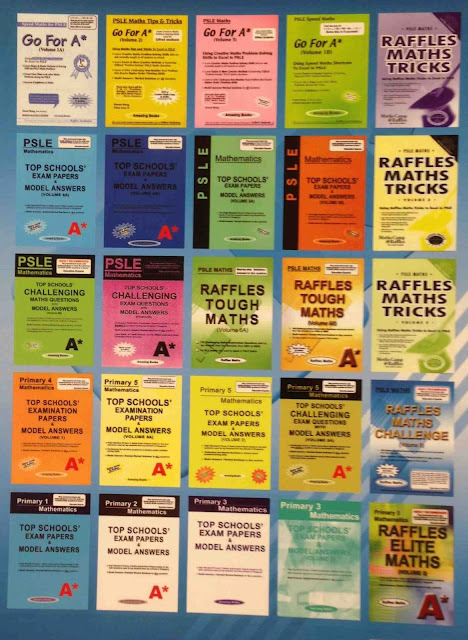 While the MOE authorities should take a share of the blame pie for not making schools' test papers available for sale, very often, it’s those teachers with an entrepreneurial spirit who are probably the source of these copyrights infringements. Who can have access to these exam papers if students and outsiders are not allowed to take them out of the school compound? are poorly presented and edited. 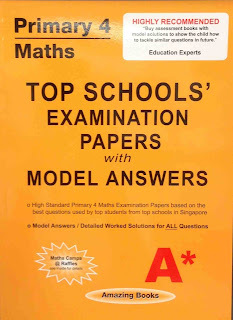 Although there is no formal investigation on these assessment titles claiming to contain contents that match the questions commonly set by Singapore's top schools, it doesn’t take a DNA scientist to figure out that most of these assessment papers were probably lifted up from test questions, which have undergone some cosmetic rewriting to avoid being caught (or sued) for blatant infringement of copyrights. The sale of most past exam papers from government schools is officially illegal; yet, every local knows how and where to buy them. The public knows that schools and the MOE don’t have the resources to sue the guilty parties. It wouldn't be surprising that some education officers are themselves part of the piracy syndicate. How would syndicates have had access to those past exam papers in the first place had they not been leaked out by teachers or school personnel themselves? Over the years, I’ve personally heard from a number of assessment authors who had complained to the MOE that some top schools’ HODs had blatantly plagiarized their contents to be used in workshops and seminars, or that some teachers had made an indecent number of copies for an army of students. Of course, the standard answer from the MOE was that they’d look into the matter, and before you know it, the whole saga has faded away. 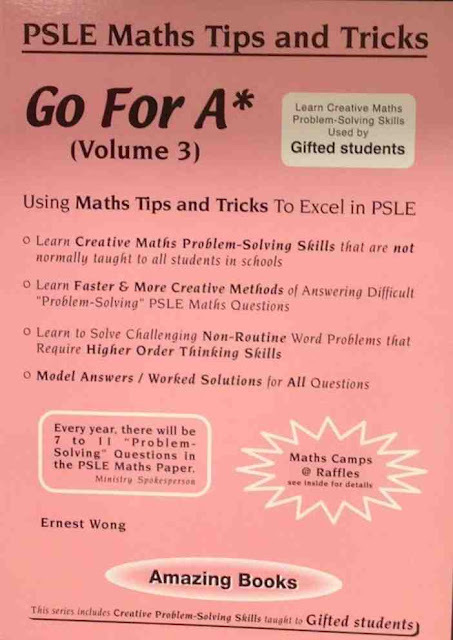 As long as we pay lip service to the intellectual rights of math writers and authors, and the infringement of copyrights is condoned among teachers and students, the future of math publishing in Singapore doesn't look too bright. 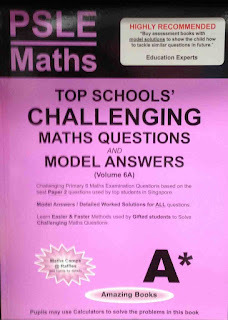 In fact, the quality of future Singapore math titles is likely to suffer further, as more and more non-math graduates are recruited as math editors in local publishing houses. © Yan Kow Cheong, May 29, 2013.